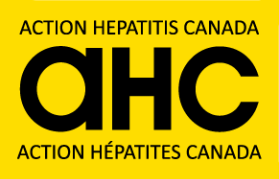 We invite everyone to have a say in the direction of HepCBC, a BC-wide patient advocacy group confronting Viral Hepatitis since 1996, through participation in our upcoming Annual General Meeting (AGM) – either in person or online! THE MEETING: The public is invited to HepCBC’s AGM on Saturday, November 3rd from 2:00pm to 3:00pm (but only registered Members can vote). There will be an in-person meeting at Victoria’s Health Unit (Main Meeting Room) at 1947 Cook Street, Victoria. Also, an online version will be held at the same time via the Internet. If you wish to attend online, on or before November 2nd, please request an “Online Meeting Link” from info@hepcbc.ca . One of our volunteers will email it to you ASAP. WHAT WILL BE DECIDED AT THE AGM? There will be a vote on the Board of Directors (see proposed slate below). There will also be a vote to add two minor bylaws recommended by the Canada Revenue Agency. All Members were emailed an online (“Election Buddy”) ballot a few days ago. If you think you are a Member and did not receive a ballot, please email your information to info@hepcbc.ca requesting “Email Ballot.” If you were mistakenly left off the list, we will email it to you ASAP. Paper ballots will also be available at the in-person meeting if needed. PRESENTATION OF ANNUAL REPORTS: The annual Activities Report (http://hepcbc.ca/wp-content/uploads/2018/10/6_8_2018_ActivityReport.pdf ) and Financial Report (http://hepcbc.ca/wp-content/uploads/2018/10/10_14_2017_2018_Fiscal_Financials.pdf ) will also be presented, along with an opportunity to ask questions and meet Board Members and others. Hope to see you at our Annual General Meeting! NOTE: If you are not yet a Member, membership is free and we are always looking for new members, volunteers, and even Board Directors. Become a Member by filling out this form: http://hepcbc.ca/membership/. Susan Malloch, R.N. (Mill Bay) – RETURNING DIRECTOR (serving as President since Sept., 2016) Susan is a semi-retired orthopedic nurse. Her partner was our former Board Member Allen McCulloch who died recently while on treatment for hepatitis C. Susan knows both personally and professionally what it’s like for family members advocating for loved ones with end-stage liver disease, and wants to do what she can to help prevent others from having to go through what she and Allen did. In Aug. 2016 she, along with a HepCBC peer advocate and Dr. Alnoor Ramji, met with the BC Ministry of Health to advocate for a new treatment for hepatic encephalopathy, which might have kept Allen alive long enough that he could receive a liver transplant. She is willing to share her experience by speaking publicly about hepatitis C and end-stage liver disease and advocating for its elimination. Phillip Wilkin (Victoria) – RETURNING DIRECTOR (currently Chair of Prison Outreach Committee) I have 30 years of experience with the Criminal Justice System. For a number of years, I served on various committees designed to improve the health and welfare of prisoners within the Canadian Prison System. During my incarceration, I became aware that HEP C was becoming ‘the scourge’ of the prison system. I actively advocated for education, treatment, and prevention. I therefore, would like to stand for election as a member of the HepCBC Board. In addition to living with Hep C, I also am employed at AIDS Vancouver Island and PEERS Victoria, where I am often involved in discussions with clients about risk factors of transmission, treatment options, etc. I started the Prison Outreach program at HepCBC and got our first educational Colouring Book & Art Contest for hep B and C off and running! We’re happy to hear recovery, rehab, and mental health programs are also requesting this book. Rosemary Plummer, R.N. (Victoria) – RETURNING DIRECTOR (former President 2014 – 2016) I am Vancouver-born with several decades of nursing experience in large cities, small towns and isolated communities. I was living in northern BC raising my family when I met Cheryl Reitz, who introduced me later to HepCBC. As a young nurse, I went to a lecture by the visiting US liver specialist and Nobel-winning geneticist, Baruch Samuel Blumberg, on his then-new discovery, the Hepatitis B virus. How ironic that as I sat cross-legged on the floor of that crowded hall so many years ago, I didn’t know I would later come to acknowledge his birthday, July 28th, now “World Hepatitis Day” every year, or why! I lived among and worked for years with many First Nations people – including many nurses, CHRs and patients – and treasure my years in the north. Since 2014, I have been on HepCBC Outreach trips to northwestern BC, the Kootenays, and northern Vancouver Island. I look forward to returning to rural and remote areas to do viral hepatitis educational outreach – to both medical personnel and patients – whenever I can. Cheryl Reitz, M.A. (Tsawwassen) – RETURNING DIRECTOR (former Secretary 2013 –2017) I am a retired teacher and translation agent who became an HCV advocate. Diagnosed as HCV+ in 1992, I failed my first treatment. But in 2011 I joined a trial with the new DAAs which had no side-effects, and worked! In fact I was able to walk the half marathon in the middle of treatment. Volunteering through HepCBC and meeting so many wonderful HCV+ colleagues has been a huge part of my healing process. Now I am a grandmother of three, and my liver is rapidly recovering from cirrhosis. I participated in the founding of Action Hepatitis Canada, and represented HepCBC at the first World Hepatitis Summit held in Glasgow, Scotland. My hope is for the total eradication of viral hepatitis from the face of the earth, starting in BC. I will do whatever I can to get everyone tested – and make treatment accessible for all – particularly in immigrant, aboriginal, and other communities most at risk of HCV and HBV. Anuradha Dhavan, MBBS, MD (Vancouver) Trained as a medical physician with specialization in medical microbiology, I am married and the proud mother of two children, both currently attending university. Along with my husband Sandeep, a gastroenterologist and hepatologist, I spent many years in Chandigarh, India, managing outreach clinics in which we did public awareness events, educational conferences, screening, linkage to care, treatment, and follow-up with diseases such as hepatitis A/B/C and HIV/AIDS. Now that I am in Canada, I wish to be involved in related activities such as the efforts HepCBC has been making in health navigation, knowledge translation, community and anti-stigma outreach, translation of materials, and education aimed at various at-risk communities including the South Asian immigrant community with which I identify. I look forward to working with colleagues to guide HepCBC in these efforts over the coming years. Sofia Rose Bartlett, PhD (Vancouver) My dad Jack was diagnosed with hepatitis C infection in 1998. Dad lived with the infection for more than 30 years before he went on treatment and successfully cleared the virus in 2015. He says he has the best health of his life now in his 60s, and his liver is in great shape now too. Motivated partly by my family’s experience, I did my PhD studying hepatitis C transmission, and I now work at the BC Centre For Disease Control doing hepatitis C surveillance and research. I believe peer and community groups like HepCBC are crucial to successfully eliminating viral hepatitis, and I look forward to bringing my personal and professional experience to contribute to this important work.